Coffee! I love it and who does not? Every day I wake up in the morning, the first thing I look for is a cup of coffee. My day seems to be incomplete without it. A cup of coffee just makes us feel fresh and get going. Many of you guys like coffee, some of you love it and a few of you cannot live without it. But how many of you have ever tried to get it to know more about your favourite beverage. Nobody? No worries. 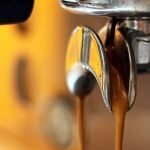 Just find some time today, read this full article and get to know more about your favourite coffee. 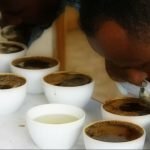 This would be very rare but in case you are a tea-lover and you don’t know what coffee is and how it’s prepared? Let me tell you. Coffee drink is a brewed beverage that people usually drink in the morning. Coffee contains caffeine which is a natural stimulant also found in tea. Caffeine stimulates the brain and central nervous system helping us stay alert. And that’s why coffee and tea are preferred to be drunk in the morning when we are somewhat lazy. Coffee drinks are of a lot of variety like cold coffee, filter coffee, and a lot of others. Coffee drink is prepared either of the two ways – brewing roasted coffee beans or using instant coffee powder extracted from roasted coffee beans. Brewed coffee is a little hard to prepare and takes some time while instant coffee can be prepared instantly. 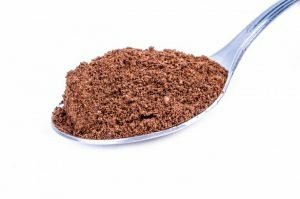 But we generally drink instant coffee prepared from instant coffee powder (Asia Pacific and East Europe dominate the market for this kind of drinking preferences). Some drink brewed coffee prepared from roasted beans. 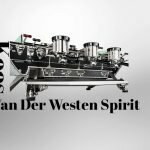 Coffee tastes differently depending on many aspects of the coffee industry such as processing and roasting aspects. As said before, coffee is usually drunk in the morning because it contains caffeine compound which makes us feel fresh and alert. how an instant hot coffee drink is prepared? Add 2tbsp of instant coffee powder in a cup (2tbsp for 2 cups), if you wanna make your coffee more strong with more caffeine going in your body then add 3-4tbsp. Now add sugar in the cup if you are not on a sugar-free diet ( sugar can modify the taste of your coffee so I always suggest you to try coffee without it). 1/2tbsp will be okay. Add 1tbsp of milk in the cup. Take a spoon and whisk the mixture till it turns light brown and creamy. Once you feel like your coffee mixture has turned creamy and light brown, fill the cup with hot milk. Stir for some seconds and then enjoy drinking your morning creamy coffee. So It is the coffee powder or instant coffee that makes your milk and sugar mixture a coffee drink in a couple of minutes. But the process of preparing coffee powder is not that simple. From where you get the instant coffee or coffee powder? Obviously from the grocery shops. These instant coffee are sold by many companies like Nestle and Bru. These brands manufacture instant coffee powders and sell them through your retail shops. 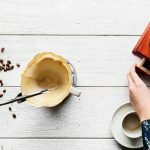 How coffee powder is prepared? The instant coffee powder is extracted from roasted coffee beans using a complex process. We will talk about this process later but let us first see how we obtain roasted coffee beans. Roasting Coffee beans are what that we drink in some or the other forms be it instant coffee or brewed coffee. Coffee beans contain caffeine about which we talked earlier. Coffee beans are obtained from coffee cherries and coffee cherries grow on the coffee plant. The coffee trees are grown in large beds within the shadow of big fruit plants. These trees can grow to more than 30 feet. These trees can live up to 100 years. There are over 25-100 species of coffee plants. There are different species thus different types of coffee plants can be found from small shrubs to tall trees. But for the commercial coffee, arabica and robusta species are used. Arabica species of coffee trees are native to Ethiopia. These trees represent approximately 70% of worlds coffee production. The beans of arabica coffee trees are flatter and more elongated than robusta and lower in caffeine. 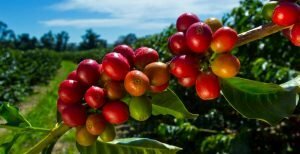 Arabica species of coffee tree is grown on high altitudes between 2000 to 6000 feet above sea level generally but this can vary with proximity to the equator. Arabica species needs such high altitudes thus it makes arabica coffee trees costly to cultivate. Arabica species is more like to be disease-prone than robusta coffee trees. Robusta trees are mostly grown in central and western Africa and parts of south-east area, Vietnam and in Brazil. Robusta trees are responsible for 30% of coffee production. Depending on the species, it will take approximately 3 to 4 years for the newly planted coffee trees to bear fruit. This fruit is called the coffee cherry. The skin of coffee cherry is thick and bitter. Coffee cherries contain coffee seeds inside. Generally, one coffee cherry contains 2 coffee beans inside. These coffees cherries are harvested once or twice a year. Coffee cherries are picked up from the plant once they ripe and turns bright, deep red ready to be harvested. The coffee cherries are picked up by either hand or machines depending on the region and scale of growing coffee trees. Once harvesting of the coffee cherries is done. Now they are processed immediately so that they don’t spoil and coffee beans can be obtained. Processing is done for dropping the moisture content and taking out the coffee beans. There are two ways of processing the coffee cherries. The dry method: This is the traditional method of processing cherries for beans. In this process, the coffee cherries immediately after harvesting are sorted and sun-dried. These cherries are further dried using machines in some cases. After drying in sun for 4 weeks, the cherries are now free of excess moisture. 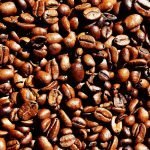 It is ensured that coffee beans are not over dried as this can make coffee beans brittle resulting in a bad roast. But beans should be dried to a correct degree as to ensure they are moisture free and bacteria and fungi would not attack them. When done properly, dry processed coffee cherries results in a smooth and heavy body brew. The wet method: In the wet method, the pulp of coffee cherries is washed to reveal the coffee beans. When the wet method is used, the acidity of coffee beans is more reduced. Once we obtain the coffee bean it is now milled as to remove the endocarp of coffee bean. A process called hulling is used to remove the endocarp form the coffee beans. Polishing ensures further removal of any silver skin that remains after hulling. After polishing, grading and sorting are done. This is done as to sort the perfect beans of the perfect size and to remove the defective beans. This process can be done by both hand and machines. After hard processing of coffee bean, we obtain milled beans called green coffee. Roasting the green coffee is the process that yields the final roasted coffee. Roasting is done as to transform green coffee beans into the aromatic brown beans that we purchase from stores. Roasting is generally carried out in machines. 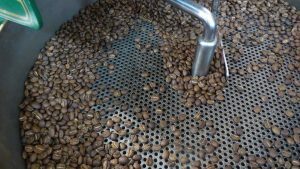 These green coffee beans are now introduced in a roasting machine that maintains a temperature of about 550 degrees Fahrenheit. To ensure, these beans don’t get burned during roasting, they are made to keep moving inside the machine. After some time, the coffee beans begin to turn brown and the fragrant oil locked inside the beans begins to emerge. This process is called pyrolysis and that’s what gives our coffee the flavour and aroma. After roasting, the beans are immediately cooled either by air or water. Now, these roasted coffee beans are exported to the stores and are ready to buy for the consumers. We talked about this earlier. Instant coffee powders are made from roasted coffee beans. Roasted coffee beans are brewed with water in huge percolators after the grinding stage. An extract is clarified from the brewed coffee and sprayed into a large cylinder. As it falls down through this cylinder, it enters a warm air stream that converts it into a dry powder. This dry powder is what you called instant coffee. So that’s how we get the coffee powder to make a perfect cup of coffee. Coffee is Bad for health? Coffee helps you sober up? It’s easy for you to prepare coffee from instant coffee powder but it takes a lot of hard work to transform coffee cherries into roasted beans. Even if you love it, don’t drink it too much. Three to four cups is just enough for bring you its benefits. Everything has got a bad side and coffee too. Thanks for reading and share your coffee recipes in the comments below.